GLO leads ALA in the series, 1-0. 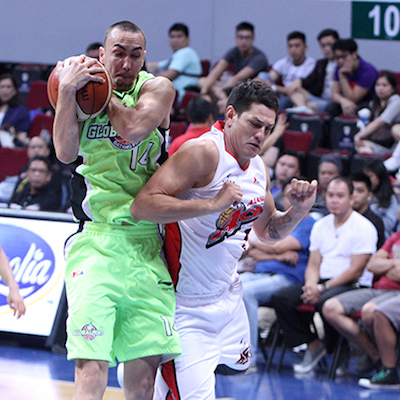 GlobalPort ambushed ALA in Game 1, relying on the superb explosion of Terrence Romeo to prevail. GLO really came out looking like the much hungrier squad, and they led wire-to-wire. They would be hard-pressed to repeat that performance in Game 2, but they have a lot of momentum, so it shouldn’t be a shock to see the Batang Pier come out of the gates with a lot of energy and confidence. ALA, meanwhile, needs to regain their form and rediscover the potency that enabled them to finish atop the standings after the elims. ALA needs to shoot better from the perimeter and find a way to slow down GLO’s explosive backcourt tandem of Romeo and Pringle. - Terrence Romeo was just on fire in Game 1, hitting 6 triples on his way to a career-high 41 points. He was just unstoppable in that game, and he also hit some big shots in the fourth period that all but sealed the deal for GLO. - GLO pulled out a big Game 1 win, but they cannot really expect to do that again with Stanley Pringle shooting just 6/18 from the field. The Fil-Am needs to play more efficiently if the Batang Pier are to prevent Alaska from tying things up in Game 2. 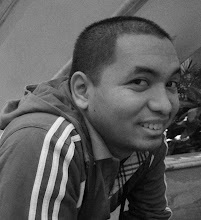 - One guy who stepped up huge for GLO was center Billy Mamaril. Mamaril stood his ground against Sonny Thoss, Eric Menk, and Vic Manuel, doing the dirty work and hitting some big shots as well. Any offense GLO can get from him is a bonus, so having him play well on both ends will be critical for the Batang Pier. - ALA’s backcourt and wingmen struggled in Game 1, and it was their frontline that really propped them up and gave them a chance to cut into the lead in the second half. The tandem of Sonny Thoss and Vic Manuel were consistently providing the offense for the Aces, but they cannot do it by themselves throughout this series. - ALA’s guards and wingmen really struggled in Game 1. Cyrus Baguio, JV Casio, Calvin Abueva, and Dondon Hontiveros combined to shoot 3/17 from beyond the arc. That cannot happen again if the Aces are hoping to bounce back and tie this series in Game 2. - As a starting unit, ALA struggled in a big way. The Aces starters were outgunned 41-40 by Terrence Romeo! That’s how good Romeo was, but it also reveals how bad the Aces’ starters were. Without a doubt, that’s something Alex Compton will try to address. Look for the Aces to have a tweaked starting unit to have a better start in Game 2. - Vic Manuel is ALA’s most consistent offensive weapon, and there is a great chance they will go to him more in Game 2. That means someone like Doug Kramer will have his work cut out for him, and the former Blue Eagle will need to step up to be able to neuter Manuel’s impact. If Kramer gets outplayed, that can be a big blow to GLO’s chances to erect a commanding 2-0 lead.